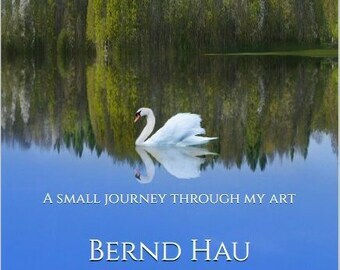 Bernd Hau is a freelance artist & amateur photographer based in Cologne,Germany. He specializes in photography,painting & digital art. It began as a hobby with interest in Painting & Fine Art Photography.I am proud to share my work with the world and I have a great passion for the Art of Painting & Photography and transforming Photography into Art.I fell in love with photography several years ago and it has become my peace and tranquility.My art reflects my soul.I have recently discovered the digital aspect and I really enjoy creating interesting variations to certain photographs by applying these effects.Everything has potential to become beautiful and magical,you just have to look for it!I find that art is a never ending learning experience.I hope you like what you see and hope my creations put a smile on your face and bring you a sense of wonder. Bernd Hau is a freelance artist & amateur photographer based in Cologne,Germany. He specializes in photography,painting & digital art. (1) Die folgenden Regelungen über den Vertragsabschluss gelten für Bestellungen über unseren Internetshop https://www.etsy.com/de/shop/BerndHauArtshop . (5) Speicherung des Vertragstextes bei Bestellungen über unseren Internetshop : Wir senden Ihnen die Bestelldaten und unsere AGB per E-Mail zu. Die AGB können Sie jederzeit auch unter https://www.etsy.com/de/shop/BerndHauArtshop einsehen. Ihre Bestelldaten sind aus Sicherheitsgründen nicht mehr über das Internet zugänglich.